The owners of this beautiful Bainbridge Island waterfront home wished to add a second surround system in their downstairs family room and had a worn-out remote on their main system. Even though we were not their original installers, they wanted to try Theater Design Northwest this time around. We designed a 5.1 surround system that fit the budget using the excellent value-to-performance MK Movie all in one system, integrating it with an older Denon AVR they had and a 55″ Sharp LED display. On the initial consult, we recommended the full ISF video calibration for the Sharp display; their larger display sizes are notorious for having pretty extreme picture quality inaccuracy out of the box. 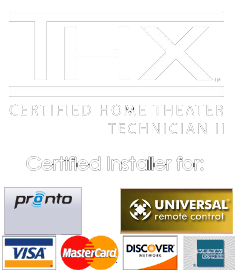 An RF URC MX-450 was installed in this system as well as in the existing living room theater upstairs. Other services included a THX audio calibration for the high end upstairs system and the ISF basic calibration on the upstairs Panasonic plasma. 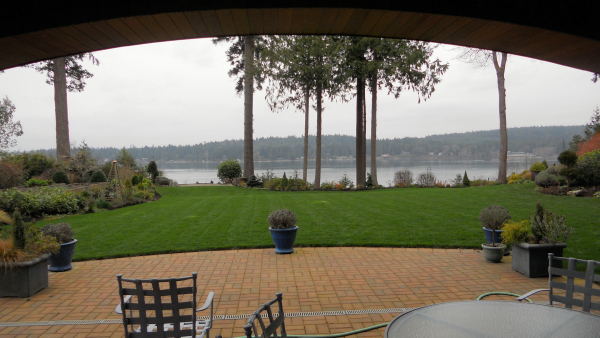 The most relaxing yard ever at Bainbridge Island…..ahh!